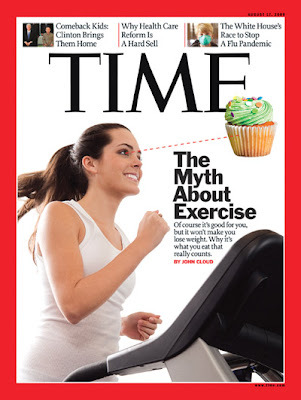 Weighty Matters: "Why exercise won't make you thin"
Have you seen the latest Time Magazine Cover? Of course it’s good for you, but it won’t make you lose weight. Why it’s what you eat that really counts"
Have they been reading my blog? If you want to read their take on it, head over here. It's a great read.